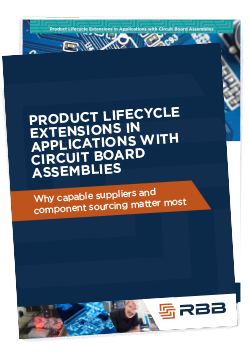 Managing a Mature Electronics Product? At RBB, we know that managing an aging product requires an up-to-date, complete understanding of the product’s lifecycle and its industry. Fill out the form to download the eBook and discover how your mature products can be extended.